When 110 degree weather is a normal occurance, you know you live in Palm Springs. Sure, that desert heat is great for a day out at the pool, but keeping your home cool can become a nightmare. We’ve created a list of the top 3 desert air conditioning tips you need to know to keep your AC working right, and keep your home cool without breaking the bank. #1 Change Your Air Filter More Often! The recommended air filter maintenance you hear about from other sources are for ordinary environments. When you live in Palm Springs, Palm Desert, or anywhere else in the Coachella Valley, you need to adjust your air filter maintenance accordingly. The Coachella Valley is windy, and that hot wind carries a lot of dust. Your AC is filtering out all that desert dust to keep the air in your home pleasant to breathe, every single day! Tack on 100+ degree weather, and your AC is working really hard to keep you happy! Pay it forward by replacing your air filter more than once per year. In fact, we recommend you change your air filter every season. Extreme desert weather calls for a new air filter at least once every 3 months. 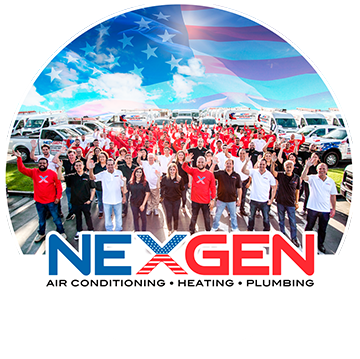 Your AC unit will thank you, and you’ll be much happier knowing your AC is working efficiently. You may want to also invest in a high quality air purifier for even higher quality air in your home! #2 Make Sure Your AC is Getting Proper Air Flow. Have you ever felt short of breath? That’s what your AC is feeling when the outside unit is covered in dirt and debris. When was the last time you checked your outdoor AC unit? We’re willing to bet that it’s been a while. Go out back and really inspect your AC condenser (that’s what the outdoor part of your AC is called). If you went ahead and checked your AC right now, you may be surprised as to all the junk you found lodged in the grates. All that junk is blocking your AC’s air flow which is pretty bad for your AC unit’s lifespan and efficiency. Factor in the extreme desert heat and you’ve got a recipe for a broken air conditioner. #3 Don’t turn off your AC! Have you ever heard of the saying, “it’s hard do get a train going, but once it does, it’s hard to stop?”. That train is your AC unit! It’s much, much easier on your AC unit to maintain a constant temperature throughout the day than to cool the house on and off. In a way, you can call this temperature momentum. Once the house is cooled down to your desired temperature, you home’s AC has a lot of momentum going and it doesn’t have to work as hard. In Palm Springs where inside temperatures can reach over 100 degrees, it can cost a fortune trying to pull the temperature back down to 70 all the time. Set it to 68-78 and keep it there! If you want the most bang for your buck, check out these cool Nest thermostats! ← HVAC Tips: The Only HVAC Maintenance Checklist You’ll Ever Need!